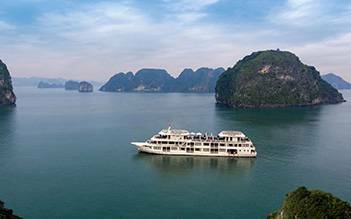 Most of day tours for tourists start/end from Hanoi, not Halong Bay. 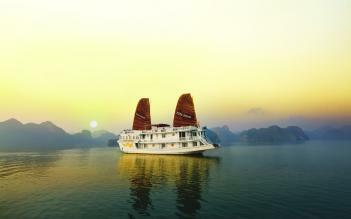 But you are already in Halong Bay or arriving from a cruiseship and love to see the best of Halong Bay? If you have that desire in mind and looking for a good one then this tour is just perfect for for your reference. 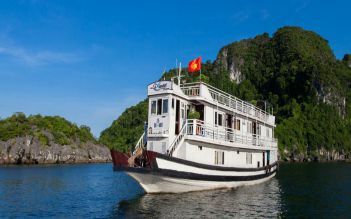 It is customized for those want to visit Halong Bay as much as possible within one day and has similar route to overnight cruises (this can not be done by other day trips from Hanoi). - Chances to witness beautiful spots like Cho Da (Stone Dog), Lu Huong (Incense Burner), Ba Hang Fishing Village and Ngon Tay (Fingers) Islets. 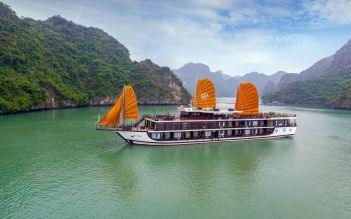 - Enjoy a leisure bamboo boat ride to visit Ba Hang floating market and learn more about the living of fishmen there. 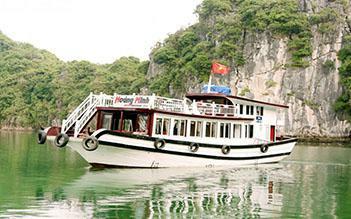 - Visit Sung Sot (Surprise) Cave, one of the most beautiful caves in Halong Bay. 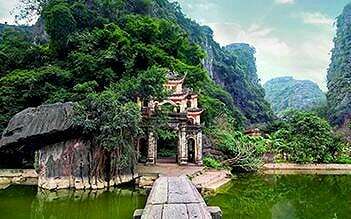 - Visit to Titop island: you can climb to the top of the hill on the island and enjoy the amazing panoramic view over the Halong bay or spend time swimming on Titop beach. - Note: In winter, a visit to Cua Van floating village and pearl farm can be arranged as replacement for Titop Island. 17.00 Boat arrives back to the mainland, get back to your hotel/docking place (optional). End of tour. 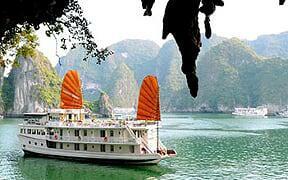 Pickup area: This tour offer pickups at centrally located hotel in Halong City (not Hon Gai port). Pls contact us if your hotel is outside pickup area. 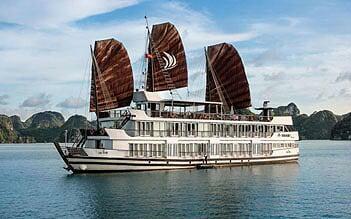 Pickup time: Please get ready from 08.30 - 08.45AM for your tour guide then proceed to Tuan Chau Marina by taxi. Pickup port: available for Cai Lan Port and Bai Chay Ferry Station. 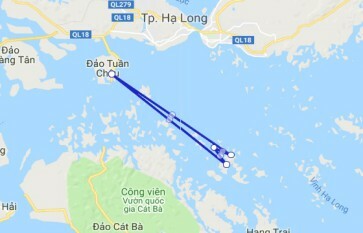 Pickup fee and port permits are paid by us, the tour guide will come to docking place to pick you up then proceed to Tuan Chau Marina by taxi. My fiancé and myself went on a one day cruise. The bus with A/C picks you up from your hotel, takes you to a bus stop halfway to to Halong Bay. Make sure you get the beef banh mi sandwich from at your first stop.... it’s delicious! 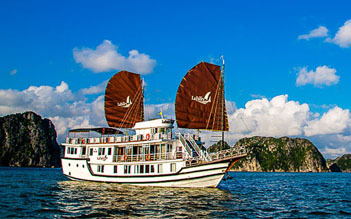 When you arrive at Halong Bay, you get on your boat and you take off. They bring you out several dishes and you get to do a tour in the caves when you dock. After the guided tour, your next stop is where you get to kayak. I recommend kayaking like we did. Overall the one day cruise is highly recommended.